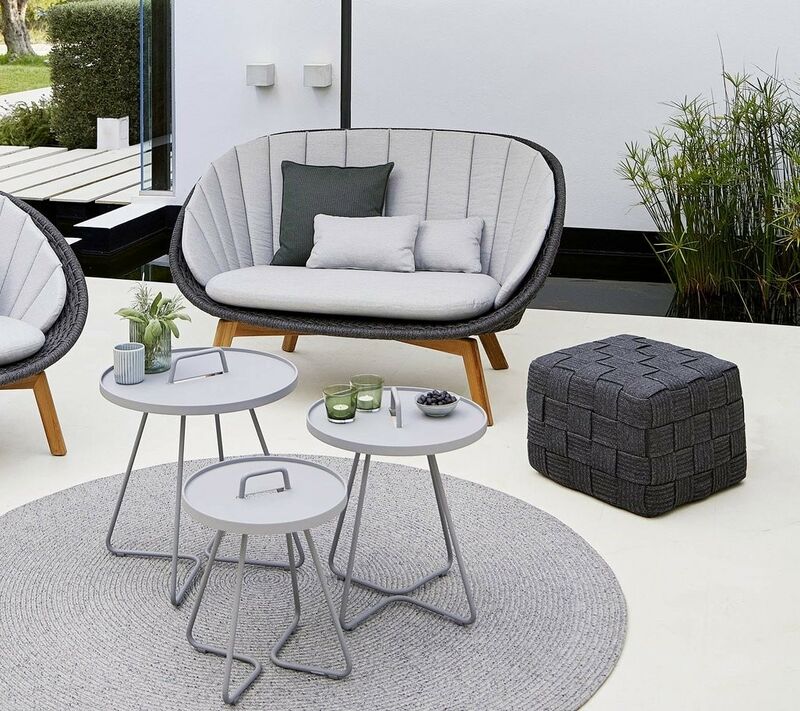 Cube is an outdoor footstool from Cane-line, designed by the innovative Cane-line design team. The footstool is made in the very durable outdoor material Cane-line Soft Rope, with a core in the unique QuickDry foam, which employs a special technology that increases the level of comfort and user-friendliness, as the material is dry again just an hour after heavy rain. Cube got its name from the distinctive shape, and the countless squares or cubes included in the design. 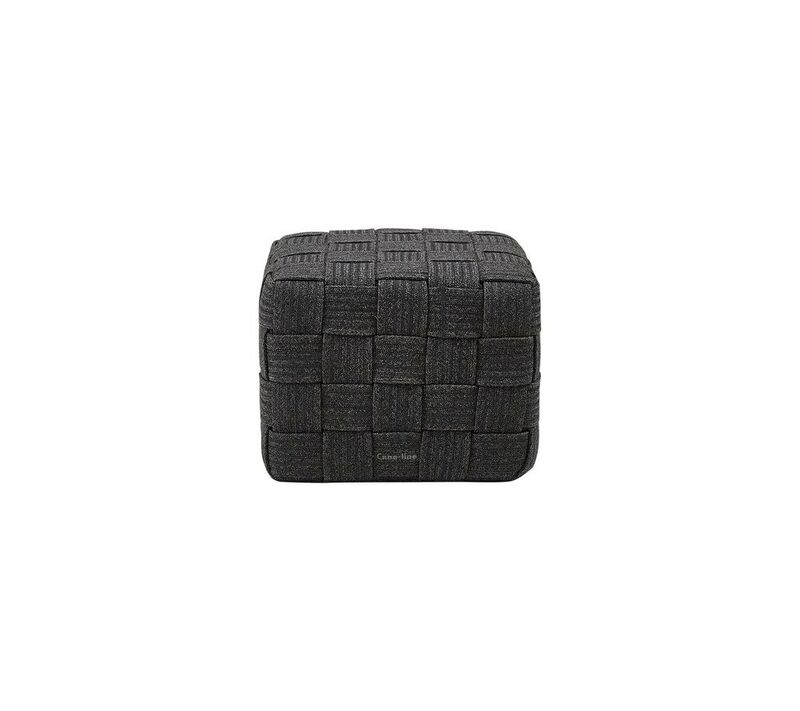 The Cane-line Soft Rope that covers the Cube, is handwoven in a beautiful pattern, providing texture and elegance to the footstool. Cube can both be used outside on the terrace as well as indoor in your living room. 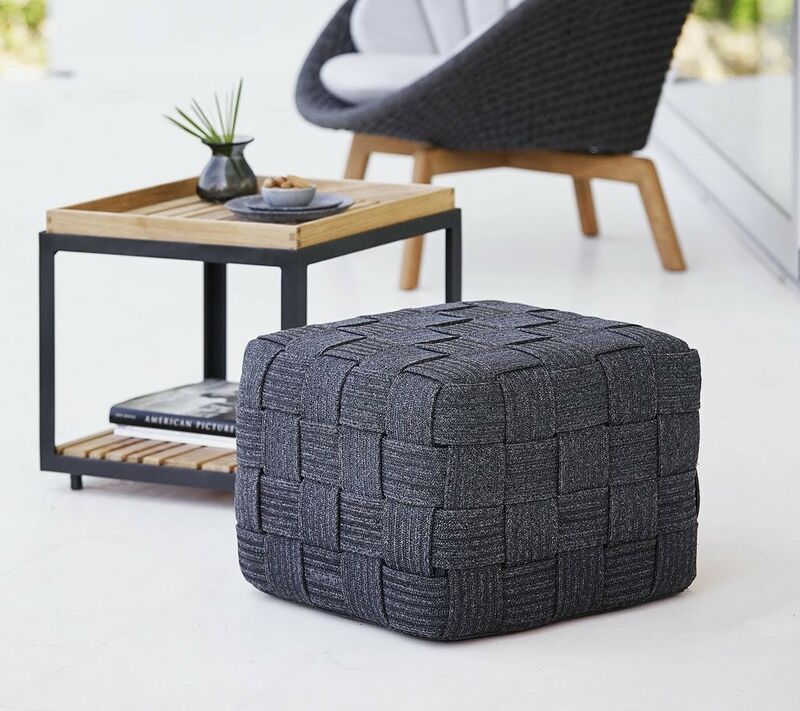 The Cube footstool is the ideal furniture piece that – with its pleasant structure and singular appearance – can enrich and complete your outdoor environment. The dark grey color of the footstool matches both our warm furniture in teak wood and woven materials, or with our neat minimalist furniture in aluminum and ceramic. 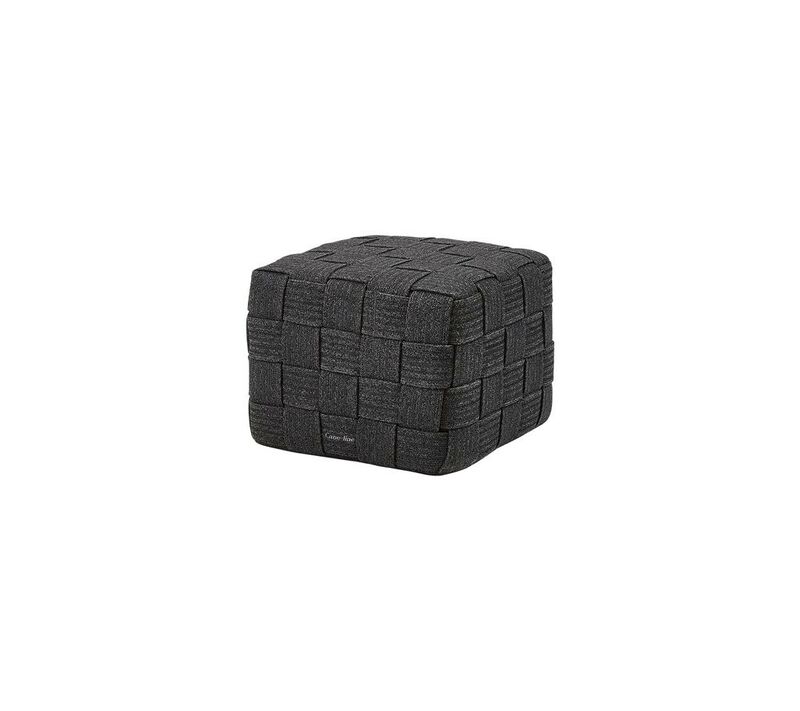 It is recommended to bring your Cube footstool inside during the autumn and winter season to prolong the lifetime of the product – and easily move it outside with you, when the first spring-sun arrives.